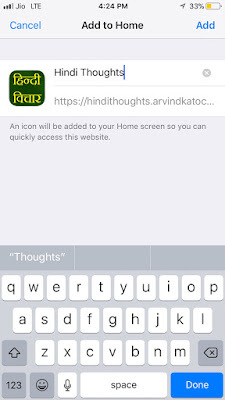 Now you can easily install Hindi Thoughts web app on your iPhone or iPad in a few clicks. 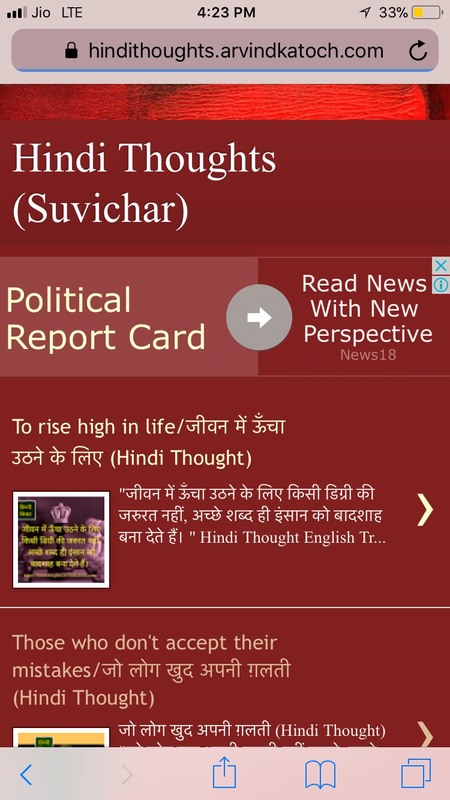 With the help of this web app of Thoughts in Hindi, you can stay tuned to the latest Hindi Thoughts. By adding this web app to your IOS device, you can easily access Hindi Thoughts native web app to read Hindi Thoughts of your choice. 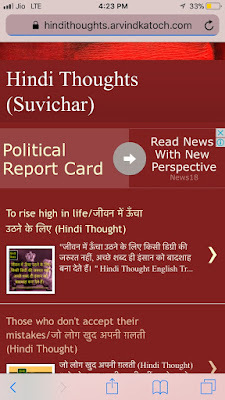 This Hindi Thoughts web app will make thousands of Hindi Thoughts accessible to you with a single click and you will not be required to type Hindi Thoughts page address again and again on the web browser to read thoughts in Hindi. Below, we will tell you the step by step guide to download Hindi Thoughts web app on your IOS device under a minute time. Step 2 - Click on the share button available at the bottom and look for add to Home screen button with (+) plus sign. 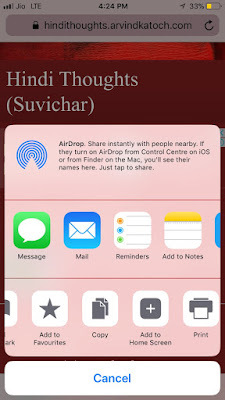 Step 4 - After clicking on the add to home screen button, you will see a prompt to add Hindi Thoughts web app to your Home Screen. Click the add button and it is done. 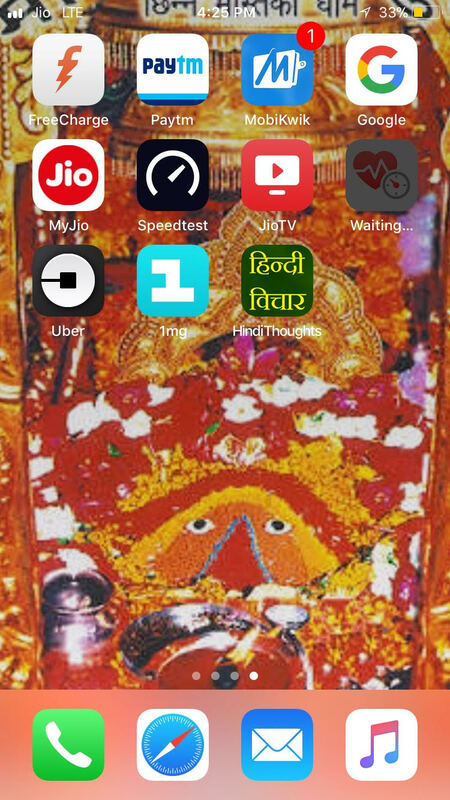 Now you can access Hindi Thoughts anytime by clicking on the Home Screen icon.